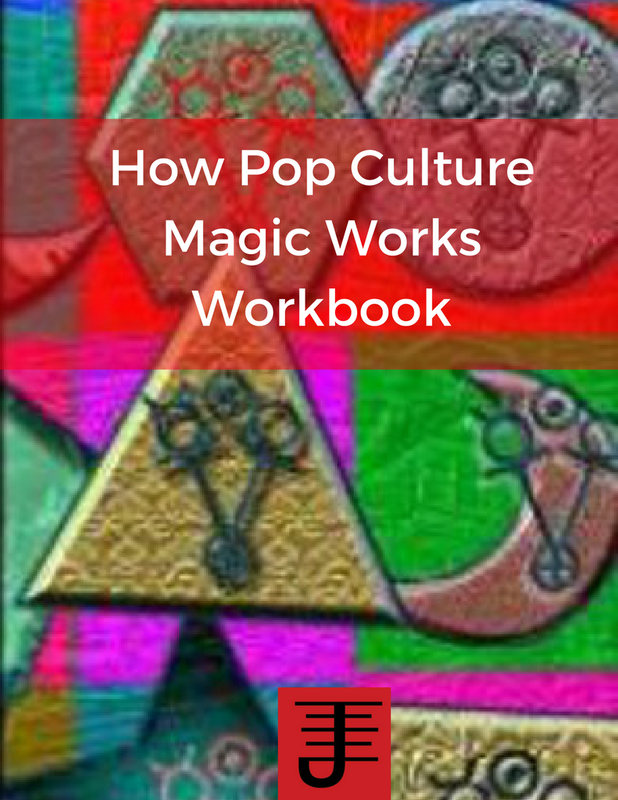 Are you ready to level up your pop culture magic? On August 9th, the first round of pop culture magic foundations goes live, and this class will be different from my other classes. We'll be doing it as a webinar, which means you'll get to ask me questions, live, among other things. Put together magical techniques based off pop culture. If you want to learn more and sign up for the class, visit here. The latest round of the process of magic starts in one week, on June 8th. In the process of magic you will get a fresh perspective on your magical practice that will help you understand what is actually happening when you do a magical working. We'll explore the fundamental principles of magic so that you can see how they show up in your magical work. Ultimately you will be able to take apart any magical working and then put it back together in way that is personalized to you. The benefits of that personalization are better results and a magical practice that is consistent because it fits who you are. Taylor Ellwood’s approach to magic looks at your life, looks at what you want to change and then uses your magic to improve the situation. If it does not work, improve your magic! Magic is a creative process that ties intimately into our lives and changes not only an outward situation but the magician itself. In the beginning you will take a look at that process, something I have never seen discussed before. After that Taylor Ellwood supplies a large tool box for magical work. It ranges from creative techniques like using cut-ups to the creation of magical entities tailor-made for the magician’s needs. There are a lot of potential magical helpers on your way, gods and demons alike, and you will learn how to establish a healthy relationship with such beings that is mutually benefiting to you and them. The next round of the Process of Magic is starting June 8th. If you want to understand how magic works and why it works, this class is perfect for you. Over the course of 24 lessons, we explore what the essential principles of magic are and how they work. 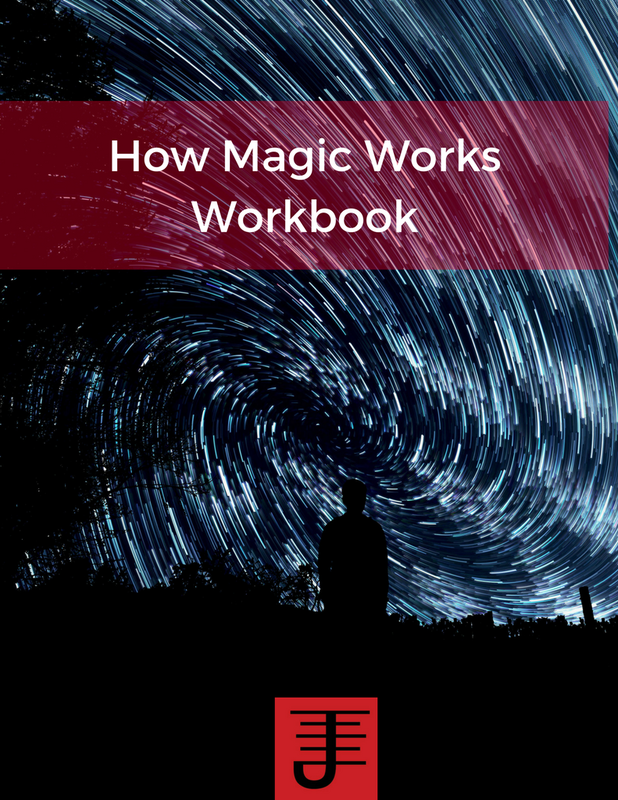 You will also learn how to take a part any magical work in order to understand how it works, as well as how to personalize your magical work to achieve greater results. Why would I want to use Alchemy to change my life? The other day I was asked a really tough question: Why would I want to change my life with inner alchemy and internal work anyway? It just seems like a lot of work. Really what the person was asking was: How will doing this work actually help me improve my life? If you watched the video series I shared yesterday you saw that I shared an intense story of how I changed my life applying the 7 principles of alchemy. It wasn't easy work. It involved doing intense shadow work with myself, yet in doing that work I got myself out of the rut I had been in and set my life up, at the time, with what I needed to thrive. Doing internal work can be hard, but the alternative is to settle for being in a rut, in a place that I call the comfortable discomfort. The comfortable discomfort is that vague recognition you have that something isn't right with your life, but you're comfortable otherwise so you settle. And in settling you slowly kill part of yourself. The comfortable discomfort is like a frog being put into a pot of water, and then having the water heated up. The frog will jump out if its put into boiling water, but if the frog is put into a pot of cold water and the water is gradually heated up, the frog will stay put until it dies. That's the comfortable discomfort, the rut that so many people settle for instead of doing the necessary shadow work needed to change their lives. My class JOY is really about learning the techniques and processes for doing that shadow work. The joy is discovered in the bliss of facing what makes you uncomfortable and turning it into an ally. In order to uncover our light, we have to be willing to dive into our shadows, because what is in those shadows is what is keeping us from truly inhabiting a space of power and joy in our lives. When we learn how to change our internal reality, we also set ourselves up to change our external reality. As Robert Anton Wilson noted, "What the thinker thinks, the prover proves." With JOY, I want to show you how to get out of the rut of the comfortable discomfort and make the changes in your life, career, or business that will truly help you discover your light and make it shine, even as you turn your shadows into your allies. P.S. Remember registration for JOY is limited to one week and I've already started getting some sign-ups, so if you feel this course could help you get out of the uncomfortable discomfort sign up today today and reserve your spot. Inner Alchemy is the cultivation of your potential through breath, sound, energy work, and practical skills that help you achieve, clarity, presence, and purpose for your life and turn the lead of failure into the gold of success. 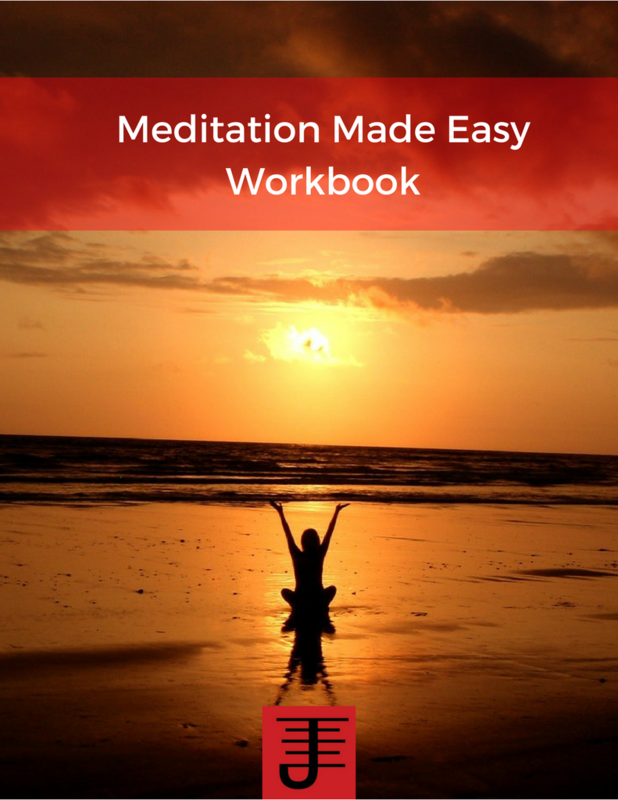 Taoist Breathing Meditations to cultivate your Chi and enhance your quality of life. Dzogchen Stillness Meditation to cultivate presence in your life. Dzogchen Sound meditations to cultivate clarity in your life. Practical skills based off western meditation and neuroscience that help you discover opportunities. Wealth Magic techniques to help you manifest your goals into reality. Plus, time for YOUR questions! Whether you've just started practicing magic or have been practicing it for years, this class will teach you the fundamental skills of Inner Alchemy and how to step more fully into your life, relationship and work. Greater clarity about the purpose of your life and work. A deeper, intimate connection with your body, mind, and spirit. New skills and tools to enhance your magical work. Hands-on work with me helping you implement these practices into your life. This class if for any pagan or magician that wants to achieve more with their life and wants access to skills that can help them be more successful. If you are an armchair magician, then this class isn't for you. This class meets every other week via teleconference starting on Tuesday November 3rd from 7 pm to 8pm Pacific Standard Time until February 16th. Hi, I’m Taylor Ellwood, occult author, magical experiment, and Esoteric books publisher. I love to share my expertise, knowledge, and process with you! I’ve been teaching classes on magic since the late 1990′s. What I love about magic is the endless possibilities for experimentation and process development. Access to a private online forum where you can interact with other class mates and me as you take this class. A Half hour one-on-one conference with me to help you get the most out of this class. The investment for this class is $100 a month (for 4 Months). To sign up click on the button below. The following books will enhance your work with this class. I'm a fairly busy person, always working on some type of project or another. Occasionally I get queries from people about how they can work with me or what it is I'm working on, so below is a list of the services and products I'm currently offering. I've written a lot of books and all of them are available either on Amazon or from my publishers. If you go to the Publications tab on this website, you'll see a list of books I've written. If you order books from publishers, I will actually sign and ship them to you (because I co-own the publisher). The Process of Magic: This is 24 week correspondence course, where you get a lesson each week. Additionally every other month I do a teleconference with the students so I can answer their questions. In this class we explore the fundamental processes of magic and how they work in order to understand and improve our magical workings. I'm currently accepting students for the next round, which starts September 9th. The investment is $100. Space/Time Magic Foundations: This is 24 week correspondence course, where you get a lesson each week. Additionally every other month I do a teleconference with the students so I can answer their questions. 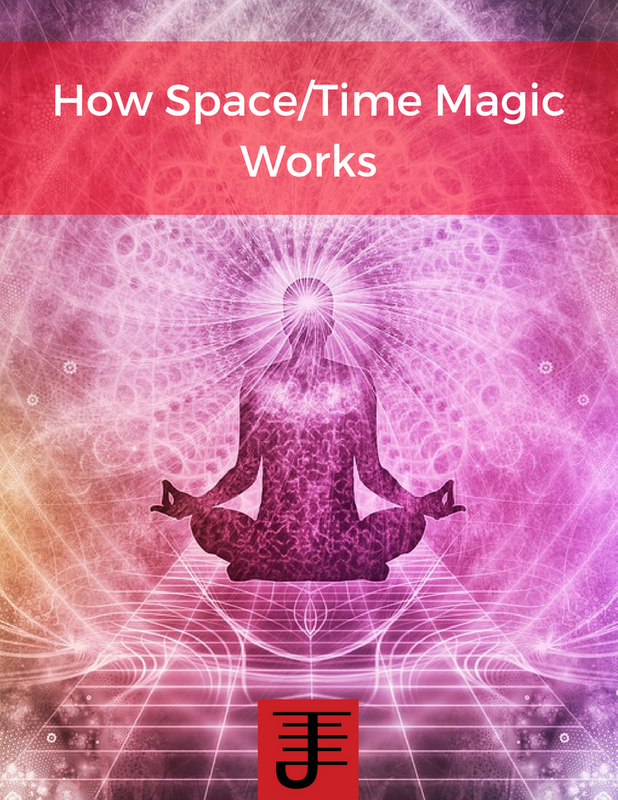 In this class we explore space and time as distinct elements of magic and learn how they can be integrated into both practical magical workings and spiritual work. The next round starts in November. The investment is $100. Inner Alchemy Foundations: This is a 4 month teleconference class, with teleconferences occurring every other week. I'm starting the first round this October and in this class we'll explore how to use breathing meditations, energy work, wealth magic, and practical techniques to do internal work and enhance the quality of your life and work. We'll also do a basic exploration of how to work with your neurotransmitters and microbiota magically. The investment is $100 a month. One shot Teleclasses: On occasion I offer one shot teleclasses on a variety of topics. Nothing is currently scheduled, but be on the look out for future classes. Consulting and Coaching: I also offer consulting and coaching services. Magical Apprentice: I also do one-on-one training with people interested in working with me directly. We meet each week for a half hour or every other week for an hour to go over your magical work. Additionally I'll assign you projects to work on that are relevant to your goals. The investment for this is $200/month and I do ask for an initial commitment of 3 months. To learn more, contact me. Dual Deck Tarot Readings: Do you have a question you want answered, a problem you want to resolve, or a possibility you want to explore? 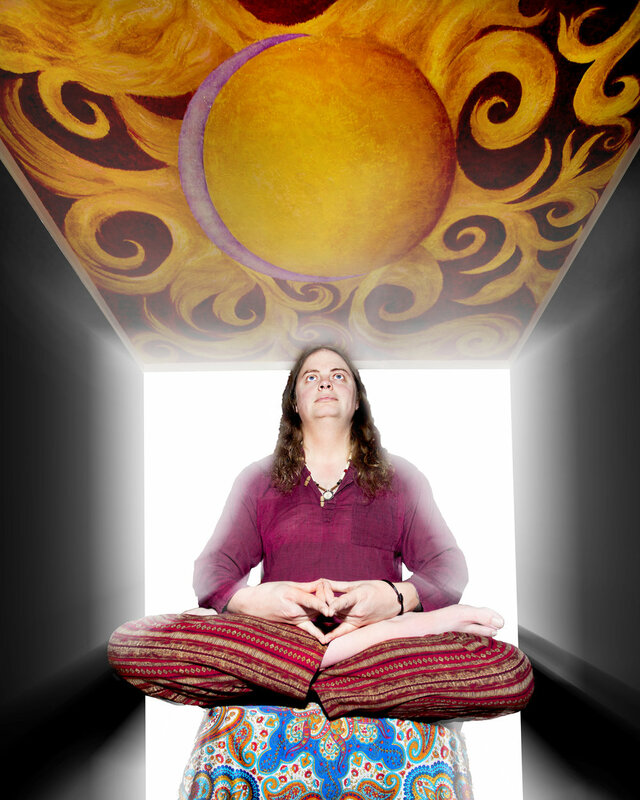 I offer a half hour Tarot card reading using two decks simultaneously. The Investment is $50. Magic Consultation: Do you have a question about magic, or a magical working? Do you want some advice or someone to runs ideas by about magical workings? I offer consultations on magical workings, using both my extensive background in various magical practices and systems and my own experimental approach to help you. I can help you with a variety of issues, including healing, career, business, wealth, relationships, etc. Note: I do not do magic workings for clients. I will help you develop one that you can do. The investment is $100 an hour. Author Coaching: I've recently been getting some inquiries about whether or not I coach people on writing or on marketing and selling books. In fact, I do! I have over a decade of experience in the publishing industry as both an author and publisher and can coach you on writing as well as how to market and sell books. If you do want to coach with me, I do ask for a three month initial commitment, as this process can take some time. I charge $400 a month and that gets you 4 1 hour coaching sessions per month on writing and marketing your books. For more information, Contact me. Business Coaching: Do you own a business and want to figure out how to run it better? I teach business owners how to plan their business by design instead of run it be reaction. To learn more, visit my business coaching site. The Process of Magic Round 14 starts September 9th. This class is for Pagans and Magicians who are serious about improving their magical expertise and who want to understand how magic works from a practical perspective. If you are an armchair magician, then this class isn’t for you. What wealth is and how to define it in your life. Why its important to develop a plan and identity around your wealth. How to implement practical wealth magic principles. Why love and health are part of wealth magic. How to apply wealth magic to your career or business. How to use scarcity to manifest wealth. Discover what wealth truly is for you and have a plan to achieve it. Workshop your wealth magic practices with me to discover how to improve them. How to turn scarcity and failure into your allies. How to discover opportunities and turn them into reality. This class is for Pagans and Magicians of all spiritual traditions and esoteric orders who are interested in learning how to apply wealth magic principles to their lives and businesses to generate success and happiness for themselves. If you are an armchair Pagan or Magician, then this class isn’t for you. Hi, I’m Taylor Ellwood, occult author, magical experiment, and Esoteric books publisher. I love to share my expertise, knowledge, and process with you! I’ve been teaching classes on magic since the late 1990′s. What I love about magic is the endless possibilities for experimentation and process development, as well as how those possibilities can be integrated into existing magical practices! A free e-book with articles on wealth magic by me. What is the investment for this class? Manifesting Wealth Teleclass happening next week! This is a teleclass that meets Thursday June 18th from 7pm Pacific Standard time to 8:30pm Pacific Standard Time. When you RSVP, I'll send you the call-in information.